In the latest news from the cryptocurrency gambling industry, popular Bitcoin casino software provider BGaming (formerly SoftSwiss Gaming) has signed a content distribution agreement with Nolimit City – the up-and-coming game studio that’s based in Malta, India, and Sweden. According to the agreement, Nolimit City’s unique gaming products will soon be distributed over the BGaming network of casinos which includes some of the biggest BTC gambling sites you can find online. One of the biggest white-label software providers in the crypto-gambling sector, BGaming has been in the business for almost a decade, starting first under the name of SoftSwiss. Back in 2013, the software company was the first to introduce a Bitcoin-friendly gaming platform for online casinos, an idea that was revolutionary at that time. Over the years, BGaming’s portfolio has been growing rapidly, reaching a collection of over 1,000 different games that are sourced from over 30 different software studios. The latest game maker to be incorporated under its umbrella is the young studio of Nolimit City which has been relatively absent from Bitcoin-friendly operators, until now. According to an official press release from the software provider, Nolimit City’s slot machines will now be made available at a variety of cryptocurrency casinos that BGaming works with. The list includes both smaller operators online as well as big brands like player favourite BitStarz Casino. Reportedly, Nolimit City’s games will be supplied directly via the game studio’s own platform which allows for faster and easier integration. Commenting on the agreement was Nolimit City’s Head of Sales, Malcolm Mizzi, who said that the game studio is eager to see its products added to SoftSwiss/BGaming’s portfolio and that they are expecting a great business partnership with the software provider. Returning the kind words was BGaming’s CCO, Max Trafimovich, who praised Nolimit City’s “youthful and bold approach” to designing online casino games. Being a new slot studio on the block, Nolimit City hasn’t had the time to grow its game collection as some older game designers have. Still, the sheer quality of the products this small company has released so far was enough to spread its name throughout far corners of the online gaming community. 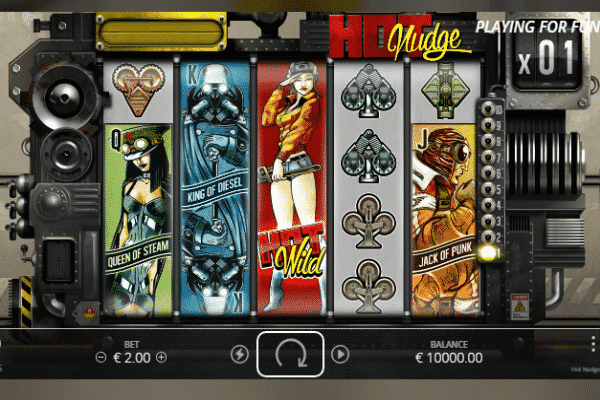 The design of Nolimit City’s games and their themes remind you plenty of the recent works of BetSoft and Quickspin, with each slot featuring high-quality graphics, creative stories, and tempting layouts and bonus features. And like all newer studios, all of their games are designed in HTML5 and are available on both computers and mobile devices. One of the most unique slots in Nolimit City’s collection is Ice, Ice, Yeti, which looks much like BetSoft’s Yak, Yeti, and Roll and features free respins, a 7×5 screen, and exciting 16,807-ways mechanics. 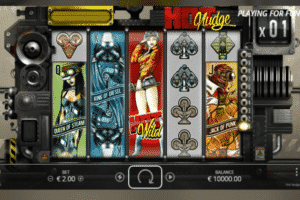 Other enticing choices include games like Tesla Jolt, Oktoberfest, and the Hot Nudge slot, which is basically a 5-reels version of a fruit machine with nudging wilds, big win multipliers, and free spins games.